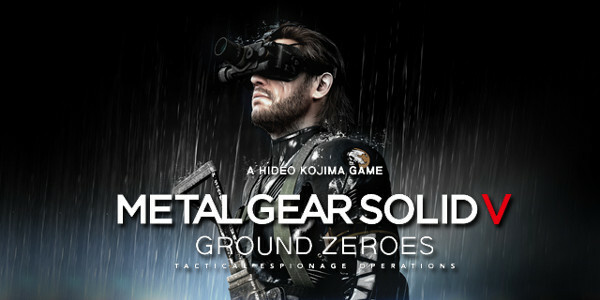 Metal Gear Solid 5: Ground Zeroes was released on December 18, 2014 and is available on Steam. Some things to note about the minimum and recommended specs; first is that a quad core is recommended even at the lowest level. This is because the game is brilliantly multi-threaded using my 8 cores almost perfectly evenly. This works out for everyone, for Intel users with their higher performance quadcores and AMD users with their lower performance hexa/octocores. Secondly, DirectX11 is required. While there are no features like tessellation or HDAO (at least not specified in the options menu), this may mean some people might not be able to play MGS straight off the bat and will need to upgrade. Make sure your card is compatible before purchasing the game to avoid disappointment. Thirdly, the 4GB VRAM requirement on the minimum is almost definitely a mistake on their behalf. During my tests, just over 2GB VRAM was being used at the highest settings at 4k. On top of that, the memory usage of the game hovered very closely to an incredibly lean 1GB of RAM, so 4GB should be totally fine. EDIT: As predicted, the 4GB VRAM requirement was a mistake and is now updated on the Steam store page. Cheers to WhiteZero for pointing this out to me. The first thing you'll notice when you boot the game is that the menus are controlled by the keyboard, which isn't ideal but is the worst thing you'll encounter. You can use WASD instead of the arrow keys and left mouse button or space instead of enter, meaning that despite menu navigation not being optimal, it's a non-issue. Aside from that, keyboard and mouse control (and binding) is generally good. There's no mouse acceleration and keys are fully rebindable, excluding side mouse buttons. I say it's generally good because there are occasional oversights, for example when you're interrogating an enemy, you have to hold down Q while also pressing 1, 2 or 3. Climb is bound to E and move body is bound to holding R. Again, these aren't serious issues but they're minor oddities, hopefully a patch will correct them post-launch. Aside from these small issues, I find that Snake controls really well on keyboard and mouse, even with only the 8 directions of WASD, you'll still fluidly navigate environments. Here you can see above the mouse sensitivity options, which give you a selection between 0-10/20 depending on the setting. Above the general keys rebinding section which includes on foot, map, weapon selection and interrogation. The graphics and display settings are well fleshed out but one option is mislabelled, screen filtering. It seems to be anti-aliasing and depth of field under one setting. With screen filtering, low seems to make no difference, high applies anti-aliasing and very high applies depth of field to Snake and his surroundings. The field of view in MGS is generally quite low but isn't a major problem as you play with an over-the-shoulder camera for the majority of the time. People who are sensitive to low first person FOVs will encounter difficulty when in crawl spaces, however there is a little workaround I discovered. If you hold W and gently tap aim once (default right mouse button), the FOV will expand to a comfortable 90 degrees (see below). In this comparison of all the general settings, we see that the main difference between low and very high is post processing effects and the amount of general items and foliage there is. So, if you have a slower PC, if you emphasis the model detail setting, you'll have a comparable experience to faster PCs. First is model detail. There seems to be some primary effects of this setting, the first being the general foliage and objects placed in the scene. The second being how far away things like large rocks and portaloos are rendered, with them being completely missing on low. Third and finally, the detail of buildings and terrain. As you can see in the comparison bellow, on very high the tents get a curve to them, they have sandbags and a fence surrounding them that isn't there on low. Next is textures. In the comparison I use a rock heavy scene, this is because I think nature is really difficult to texture well. As a lot of the base in Ground Zeroes is made of concrete and brick, it's easy to hide low resolution textures under monotone building design but you can't get away with that with rocks. As you can see, particularly the boulder to Snake's left, at very high it looks okay and the cave in front looks good. At low, the textures look particularly poor. In my testing I found that textures make no difference to frame rate and there is no reason to use anything below very high unless you don't have enough VRAM. Going further down on the list, next is shadows. The effect here is quite pronounced, with the shadow edge directly next to Snake losing it's sharpness. On high, shadows can be seen for a long distant and remain sharp, in contrast to low where even close shadows are very low resolution. To show the next setting, lighting, I loaded up a night mission. There doesn't seem to be any advanced techniques like global illumination and this option just adds a lot of lights but it does look very good on max. MGSV uses traditional SSAO methods for extra lighting effects. It's one of the few settings you can completely disable. Here you can see that the foliage off the left has a bit more contrast where light is obfuscated by leaves. Off to the right, the sandbags and barrier have a little more depth with AO on. Lastly, the effects setting. The most prominent effect that this has is on the rain. On very high, the water droplets have a little transparency to them as compared to low where they just look light grey. You can see the difference much more in motion and I personally believe that very high looks great. So, me and the team at PC Gaming Wiki encountered a tough problem with Metal Gear Solid's frame-rate. It was something that I knew immediately when I started to play it and when I brought it up with the team, a few members had different ideas on how to deal with this struggle. The problem is that the game rarely budges from 60FPS excluding one or two scenes where I experience a 5FPS drop. This is because the game has a 60FPS cap built into the engine (which is a pitfall for players with 120/144Hz monitors). One of the suggestions was to use 4k in my testing and I think that's a magnificent step forward, just the fact that I had to use 4k because standard resolutions run too well. Testing methodology: conveniently, the intro cut-scene is one of the most demanding parts of the game, making heavy use of cinematic effects with lots of lighting, shadows and post process effects meaning it's a great benchmark. All tests were done at 4k. First I compare the Nvidia 347.09 beta drivers to the standard 344.75WHQL drivers. The beta drivers are specifically for MGSV:GZ and Elite:Dangerous. As you can see, the minimum FPS is high on the beta drivers but the maximum is higher on the WHQL drivers, with the average being almost completely identical. So what drivers to use is personal preference, whether you prefer a high minimum or higher maximum. I used the beta drivers for all my tests. In the next chart, I show the general performance of all the settings. Here you can really see the 60FPS cap coming into play at the lower end. On the higher end, take into account that is 4k on a single card with a brand new, gorgeous game. I'm personally very impressed that the average is over 30FPS. While benchmarking all the settings, I discovered that the majority of them have virtually zero impact on the performance. The two major settings that did cause drops were screen filtering and AO. First up is screen filtering. There is no difference between low and off and at high the depth of field and anti-aliasing kicks in. At very high, the depth of field effect strengthens. Personally, I'd recommend the high setting instead of very high as I'm not a fan of blur. Weirdly, there's minimal difference in performance between high and off, which is very interesting. Turning it up to very high drops the frame rate considerably and again, I recommend the high setting as a middle ground. One of the elements that FPS graphs can't show is stuttering and I'm glad to report that I encountered virtually no stuttering through my testing and play-through. There is a few seconds of shakiness when you initially load into a game but after that, the game is very smooth, even when frame rates fluctuate. Unfortunately, are no audio sliders anywhere in MGSV, however they do have a robust selection of languages with subtitles. Alongside the subtitle settings, there are options to disable different parts of the HUD which is great for people searching for a minimalist feel. In conclusion, Metal Gear Solid V: Ground Zeroes is a phenomenal PC port. There are flaws but they are small, few and far between and easily patchable. As Kojima Production's debut game on PC, I'm impressed by the lack of crashes, the stable frame-rate and fluid controls. If anything, this goes to show that the next gen experience does not require 16GB of RAM, 4GB of VRAM and 50GB HDD space and I think that speaks volumes about the quality of production on their behalf. Fantastic report, very thorough and detailed. Regarding FOV - how long does the 'fix' work for? Does it reset when you go into another tight space? I always like my FOV fairly wide. The last sentence is a hair disingenuous - of course it isn't going to require a full PS3/4 disc worth, it's a... "compact"... game. If anything people should expect the standard 50 as that's about what the PS3 media was, and we are many years past that even. Getting those frame rates at 4K is outstanding. Most recent ports have been far more demanding. The trick works until you leave the crawl space, so you need to do it every time. However, tapping RMB every time isn't taxing. I did actually think about that, it being quite short can easily justify it being small. However, they are still packing an engine and high quality assets, with traditional MGS lengthy cut-scenes and dialogue. And yeah, after some thought, I'm not as impressed by the 3GB install as I initially was, I still stand by the fact it is quite good. That and, you know, rule of three, I also kept it in there for writing purposes. Runs great for me. Everything on Extra High but Shadows which I had to set to High as they cause some FPS drops. Might be my 1.5GB VRAM getting filled up. I think the game uses the CPU more than most games I have played recently and might make really good use of multicores. The game was running amazingly well for me to the point I had to keep rechecking to make sure the opening cut scene was not pre rendered. I have the same cpu that you have or the next step up both of which are 8 core I believe but my video card is pretty long in the tooth a gtx 660. The game defaulted to most everything being set to High and I mostly tried running with the defaults as a goof and it worked.